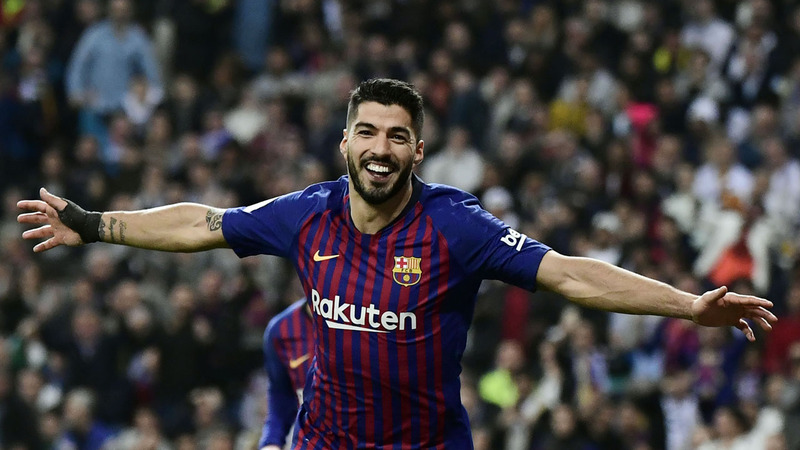 Luis Suarez scored twice on Wednesday as Barcelona inflicted another defeat on Real Madrid to move within touching distance of winning a record fifth consecutive Copa del Rey. Madrid was the better side for at least half of a wild Clasico at the Santiago Bernabeu but three goals conceded in 28 chaotic, second-half minutes sent Barca through to the final with a 3-0 victory, 4-1 on aggregate. Suarez would have had a hat-trick had Raphael Varane not beaten him on the line to Ousmane Dembele’s cross, Varane’s own-goal coming between the Uruguayan’s smart finish and a mischievously chipped penalty. He now has 11 goals in 13 games against Madrid. By then, Barca were coasting and after thrashing Madrid 5-1 at the Camp Nou in October, they will return for Saturday’s La Liga game boasting an accumulative score of 9-2 from the clubs’ three meetings this season. 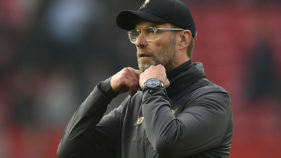 But this was not the humiliation of four months ago and if the result can be put to one side, Santiago Solari might take heart from the handful of golden opportunities his team wasted before their opponents began their spree. “We are sad, we wanted to play in the final,” Solari said. Vinicius Junior was most guilty, the 18-year-old showing his both his talent and youth in equal measure. Gareth Bale, left on the bench again, might have wondered what he would have done with some of the chances that went begging. There was a scattering of whistles for Bale when he came on with just over 20 minutes left but there was little he could do about Barcelona quickly extending their lead from one goal to three. For Valverde’s side, a record sixth consecutive Copa del Rey final, with either Valencia or Real Betis, who play on Thursday, awaiting them on May 25. The first half was a scrap, full of heavy touches and lunging challenges with a handful of chances to counter-attack squandered by loose passes. Ivan Rakitic plunged into Casemiro and Toni Kroos charged into Lionel Messi. Vinicius offered the best moments down the left, terrorising Barca’s backline but failing to find a finishing touch. He wanted a penalty for a clumsy challenge by Nelson Semedo but the contact was probably not enough, and then three chances were passed up. 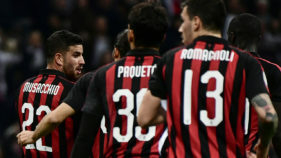 First, he fired over after his opponents backed off and then was sent clear through a gap vacated by Gerard Pique, who had lost the ball upfield. A heavy touch took Vincius wide and while he squared for Karim Benzema, Marc-Andre ter Stegen made the block with his foot. Soon after, he shot high again from six yards, before beckoning the groaning crowd by swinging his arms. Barca should have capitalised on a wayward Sergio Reguilon backpass but otherwise they, and Lionel Messi, were a little flat, lacking either the precision or spark to create a clear chance. Then, with their first one they scored. Dembele made it, drifting Dani Carvajal one way before darting the other and pulling the ball back for Suarez to squeeze inside the near post. Madrid came again. Reguilon’s header drew another excellent save from Ter Stegen and Vinicius left three Barca defenders sprawled on the floor but could not complete a mesmeric run with a finish. Bale came on but it was Barcelona that scored, twice in four minutes. Dembele again skipped in behind and passed to Suarez at the backpost, although it was Varane that got the final touch. Then Casemiro planted a clumsy foot on Suarez’s ankle and the referee pointed to the spot. Messi deferred to Suarez, perhaps thinking he was on a hat-trick, and the Uruguayan coolly chipped the penalty into the corner. There was still time for Bale to break free but he curled his shot well wide. It was last of too many chances spurned.